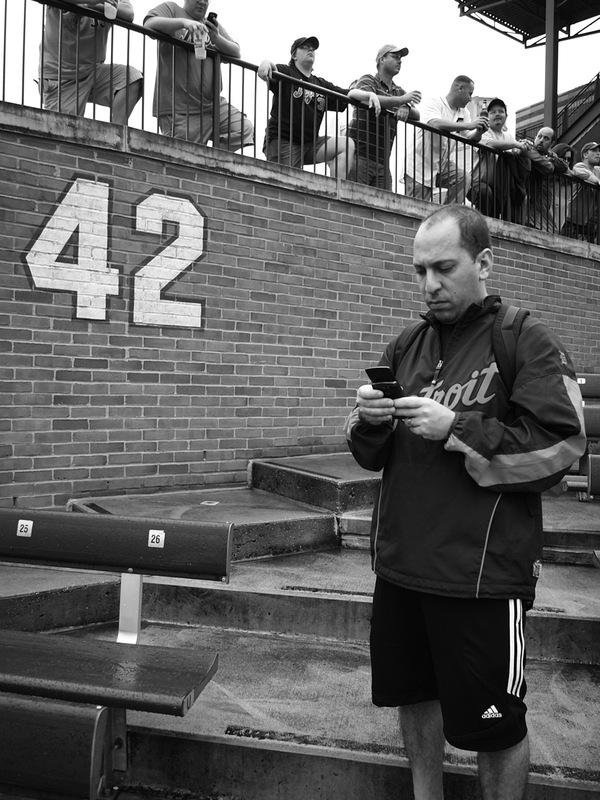 MLB reports – Jonathan Hacohen: Imagine that you were 6’7″, a chiseled 230 lbs and drafted in the first round (39th overall) in the 2010 MLB draft. Better yet, you were drafted by the Red Sox. This comes after you were drafted by Texas in 2007 but opted to play for a powerhouse school like Louisiana State. To top it all off, you show up to your first professional season of baseball as a 21-year old highly rated pitching prospect and you hold your own against the competition. Impossible dream? Not really…not if your name is Anthony Ranaudo. Going into 2012, Anthony is one of the top rated pitching (and overall) prospects in the game. While he has the resume and strong credentials already, Anthony is not letting anybody hand him anything in baseball. He is working hard to earn his chance and to prove that he belongs in the majors. Red Sox fans are absolutely giddy at the thought of having Anthony in their team’s rotation one day. Can you blame them? There are 29 other major league teams who would grab him for their system in a second. For a kid that grew up a Yankees fan in New Jersey, Anthony’s baseball story certainly took an interesting twist. Now a member of Red Sox nation, Anthony Renaudo is on track to land in Boston in the near future. MLB reports: Welcome to MLB reports Anthony. First question: We have to know the truth. We understand that you grew up a Yankees fans. How did it feel to be drafted by the Red Sox? Was it difficult to give up the love for the pinstripes and join Red Sox nation? Anthony Ranaudo: Haha… that is actually such a common question with all my family members and friends back home in New Jersey. But once I went to college and saw teammates and guys I played with making it to the big leagues, you become more of a fan of the game rather than of one specific team. So by the time the draft came, I was excited to be picked by the Sox and join the tradition and history behind the organization. MLB reports: You got the call in 2007 that you were drafted by the Rangers. Was there ever a possibility of you signing with Texas or was it Louisiana State the whole way? Anthony Ranaudo: There was a slight chance if they were willing to pay above slot. But I really had my mind-set on going to college, earning a part of my degree, and competing for a national championship at one of the best college programs in the country. 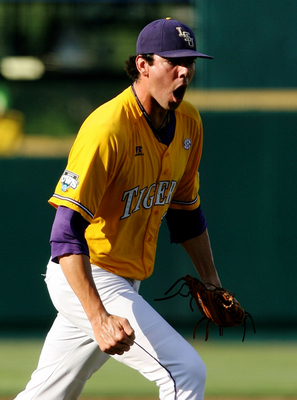 Anthony Ranaudo: The time I spent at LSU was an amazing three years to say the least. I would not go back and change a thing, if I had the chance a million times over. The people I met, friendships I made, and the baseball experience I gained- is not something that I could ever replace. I am so thankful I was a part of it. MLB reports: Not an easy subject I’m sure, but I was curious about your injury in 2010. You hurt your elbow prior the draft. How did you get injured and were you afraid that the injury would affect your draft status? Anthony Ranaudo: It was actually a freak incident and a rare bone injury that no one really knows why it occurred. But it did happen and affected my performance and ultimately the draft. With that being said, during that time I can honestly say that I wasn’t as concerned with my draft status as I was with returning to my team and helping to defend our national championship in 09. MLB reports: How is your health today? Any lingering issues? Anthony Ranaudo: I am 100 percent healthy with no lingering issues. MLB reports: Did you have a favorite player growing up? Anthony Ranaudo: Even though he was before my time, I always idolized Nolan Ryan because he was the best pitcher of his time and always wanted to be the best. My dad would tell me stories about him and his work ethic and why he was the best. I used to collect his cards and want to be as successful as he was. MLB reports: Which current MLB star do you most admire and why? Any current players that you pattern your game after? Anthony Ranaudo: I respect a lot of the players in the major leagues because obviously they have put a lot of time, effort, and energy into their life as a baseball player. Many of them are very intelligent and have learned the game well and that is why they are so successful. I can’t really say there are too many guys that I pattern myself around. But I can say that whenever I am around a major league player, I listen closely and absorb as much as I can about his career and things he has gone through. MLB reports: What are your goals going into the 2012 season? Anthony Ranaudo: Personally, my goals for this season are simple. I want to have a focus of getting better each and every day to make myself more of a major league ready pitcher. I think the season will dictate more of my specific goals. But if I work as hard as I can and focus on getting better, I will eventually become the pitcher I know that I can be and hopefully be a major league pitcher helping my team win. MLB reports: You were a first round pick by the Red Sox in 2010. How did you find out you were drafted? Big party that night? Anthony Ranaudo: Actually the opposite. The night before the draft, we were eliminated from the postseason at UCLA and had a plane ride that day and night. I found out I was picked by the Sox after we landed back in Baton Rouge. 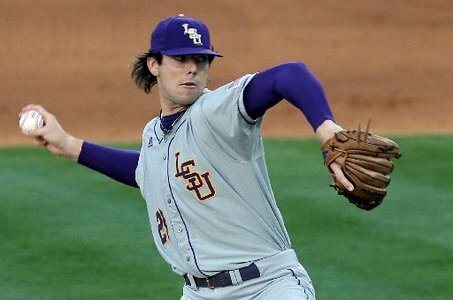 MLB reports: Did you expect to go to the Red Sox and as high as the 1st round? Your name was discussed for some time in baseball circles as a future 1st round selection- how much of the hype reached you? Anthony Ranaudo: Well I had heard some rumors about the Sox drafting me, but there are a lot of things your hear all the time. From the time I was a kid it was my dream to play professionally. So just to be drafted was a great honor. 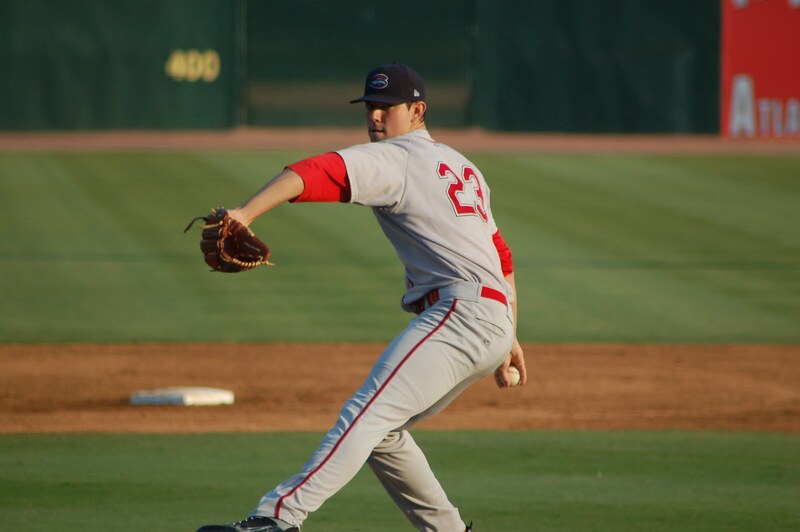 MLB reports: You start off your career as a Greenville Drive and then moved on to the Salem Red Sox last season. Tell us about your first two professional teams…and what the heck is a Greenville Drive? Anthony Ranaudo: Honestly, I played there for two months and I have no idea. This year was a lot of fun and I really enjoying playing for both teams. I met a lot of good guys and made a ton of new friends that really made this first year of pro ball very memorable. MLB reports: How did you feel going from school to professional baseball? What was the transition like? 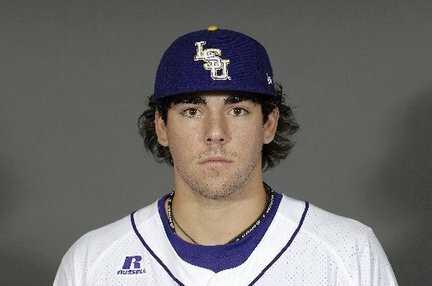 Anthony Ranaudo: Playing at LSU really gave a great start to the transition. There were some minor things to make adjustments to, but overall it was pretty simple. MLB reports: Do you see yourself long-term as a starter or reliever? Anthony Ranaudo: I have always seen myself as a starter and I love being on the mound for seven or eight innings. With that being said, I also love having the ball in my hand when the game really matters the most in the late innings. So if it is my job to be a reliever or closer one day, I will really enjoy and embrace that role. MLB reports: What do you consider your best pitch(es)? Any new ones that you plan to be working on this season? Anthony Ranaudo: No new additions this year so far. I am trying to really focus on having great control and command of my three or four current pitches. To this day, my fastball and curveball are still my favorite pitches. MLB reports: Who were the strongest baseball influences growing up? Any particular coaches that had a deep impact on your game? Anthony Ranaudo: I would have to say my father had the greatest influence on my career. He was the one who taught me the game and was there for every step, even to this day. But without the support of my mother and father and my brothers and sisters, I would never have made it to where I am today. MLB reports: What facets of your game do you most wish to improve upon? Anthony Ranaudo: I need to refine my command of the strike zone and throw more quality strikes with greater consistency. Once I do that, I can focus on competing and hopefully moving up the ladder. MLB reports: If you had to look into a crystal ball, when do you see your expected time of arrival in the big leagues and what do you think you need to do most to get there? Anthony Ranaudo: I am glad I don’t have a crystal ball because that way I cannot worry about it. And that is the approach I take every day. Like I said earlier, I try to get better each and every day. If I can keep doing that while staying healthy, I think those decisions will be made for me, hopefully sooner rather than later. MLB reports: Favorite baseball movie of all-time and why? Anthony Ranaudo: For Love of The Game. No doubt. Literally tear up every time. It is the perfect description of the life of a pitcher, with the ending of a perfect game. Something that every competitive pitcher dreams of.